I love the weather we're having in SoCal right now! It's not too blazing hot to where it's the usual unbearable LA summer heat and it's not too brisk to where thick layers and (faux) furs are necessary. 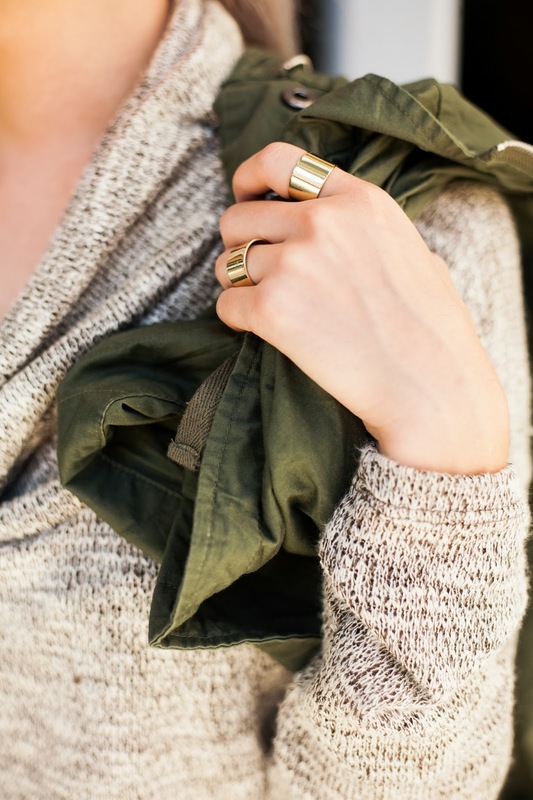 I love this outfit because it's the perfect Fall outfit! 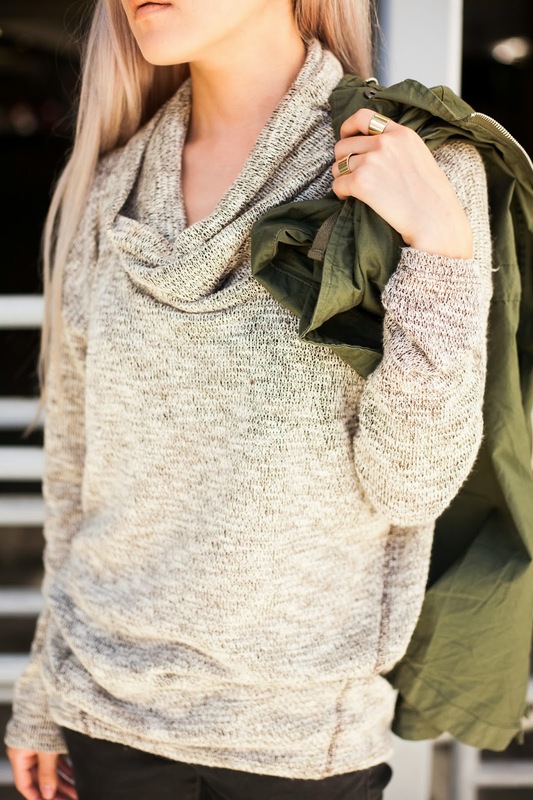 This lightweight heather beige knit has a cowl neck and is great to wear when it's not freezing because it breathes well, but you can layer camis and the like underneath during chillier times. 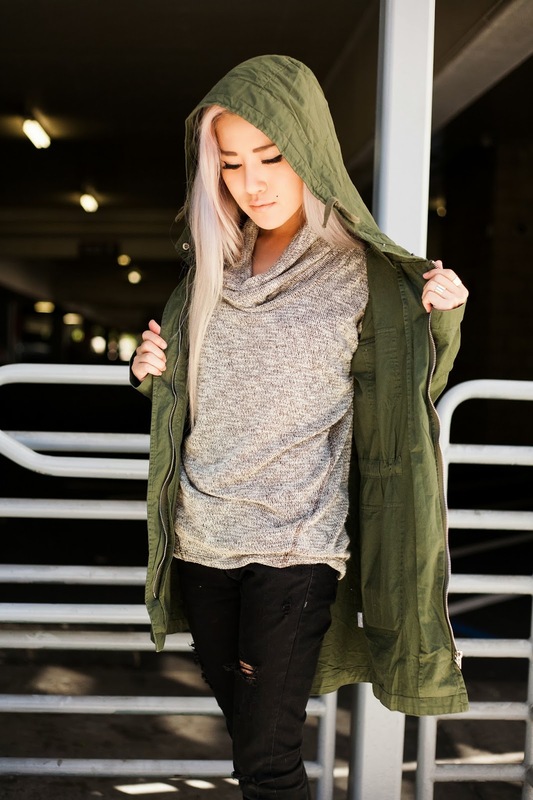 I adore army jackets and anoraks, especially in the fall, and this anorak in olive green is an awesome and comfy piece of outerwear to toss on any casual ensemble to add character. My cutout booties with gold buckle detail are 100% walkable for literally the entire day and I am happy to report that not a single part of the shoe rubs up uncomfortably against your skin! And you know what's the best part about this? All these pieces are available (and affordable!) from the same store, and you get free shipping within the U.S. when your order is $50 or more! This just reminds me of how I failed to buy the perfect parka over the winter that's just passed. 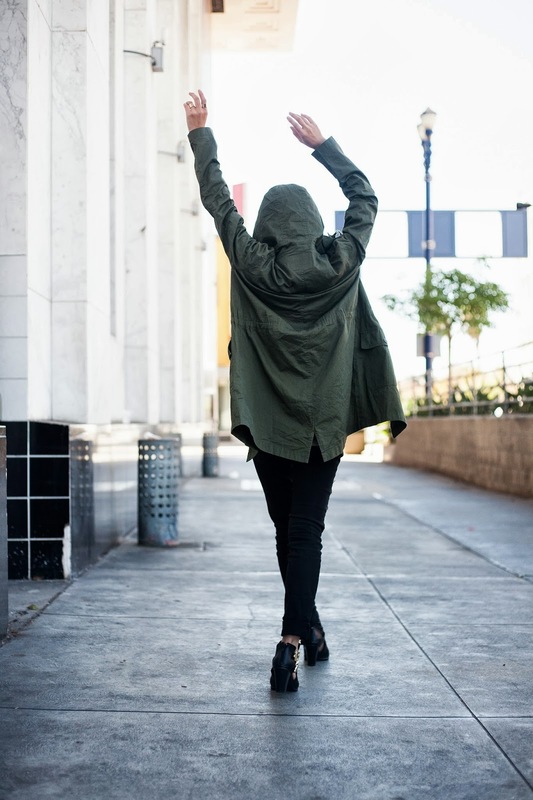 Love your anorak though.